The most coveted two-bedroom home plus balcony with open, unobstructed, southeast facing city views is now available for rent at the amenity rich Chelsea Stratus condominium. 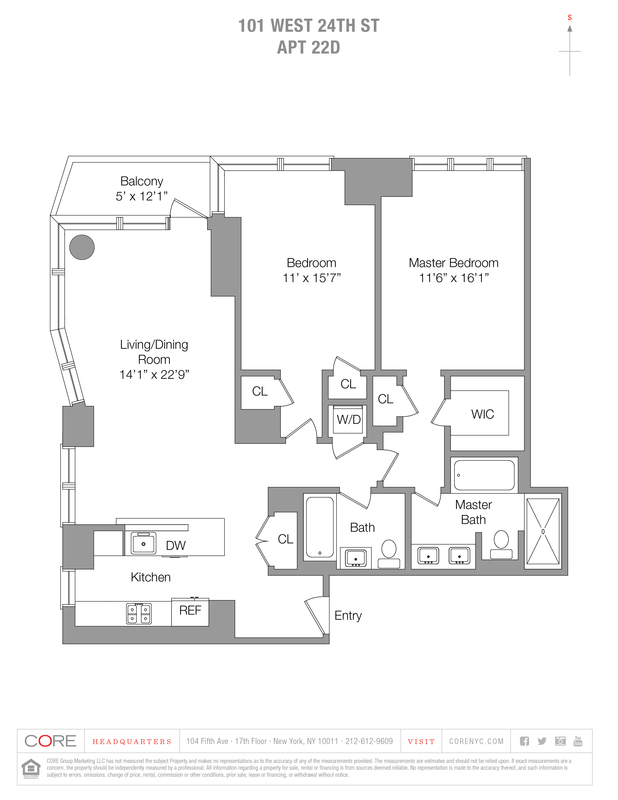 With 1286 interior square feet, 22D is one of the largest two-bedroom layouts in the building. 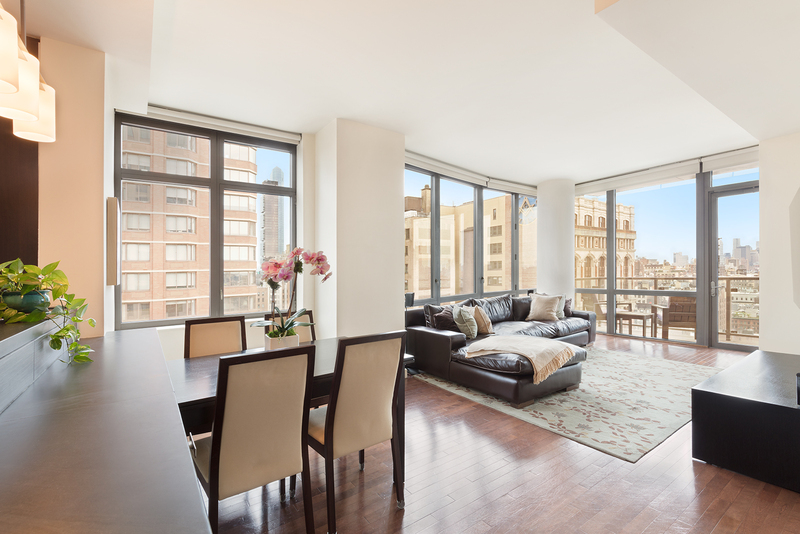 Located on the 22nd floor of the southeast corner of the building, this apartment enjoys sunlight throughout the day and stunning views of lower Manhattan, Madison Square Park, and beyond to the East River. This apartment has ample storage with five closets and a private storage bin in the basement. The thoughtful design continues into the corner great room with enough space to comfortably fit a complete dining area and large living room. The windowed kitchen is outfitted with top-of-the-line appliances including Macassar Ebony wood cabinetry, Pietra Cardosa stone countertops, a Fisher and Paykel double drawer dishwasher, a GE refrigerator, cooktop stove, and microwave. The master bedroom features two closets including a huge walk-in closet, the envy of most New Yorker's, and an en-suite spa bath with a double sink vanity, deep soaking tub and a rain shower stall. Additional features include electric blinds throughout the home, custom outfitted closets, central air, private balcony off of the living room and a private storage cage. The Chelsea Stratus is a full-service building with an ultra-modern fitness center, half basketball court, entertainment lounge with two large screen TVs, copper fireplace, dining area with a catering kitchen, billiards room, outdoor landscaped garden and one of downtown's best roof decks that features a grilling area and a dog run. All of these amenities are included for the tenant at no additional cost!